Arriving or departing with a private or business jet? We will do our utmost to get you from your car to your plane and vice versa as quickly as possible. Our staff are ready to welcome you and the Royal Marechaussee is ready to carry out passport control. If required, catering services can be provided by our airport caterer Travel Inn. 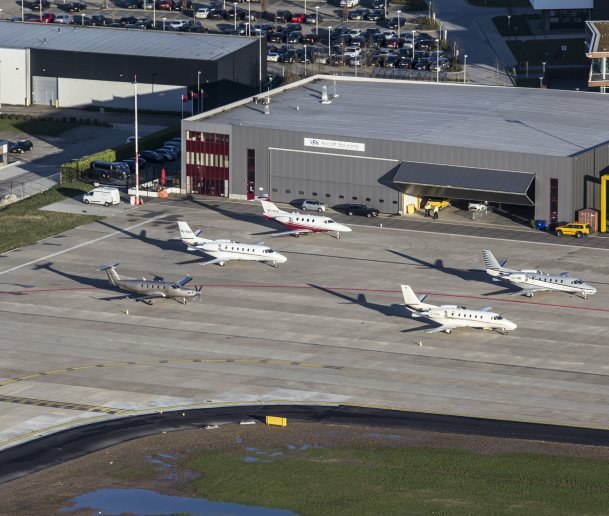 During the TEFAF art fair, some 80 jets make use of our services. If you wish to make use of our fast and complete handling services, then please contact our Operations Department. Private jets usually arrive at and depart from our Jet Center.